Spring may have officially started more than a week ago, but, for baseball fans, today marks the official start of the season. After a long winter, Major League Baseball returns, and, for the first time since 1968, all 30 teams are in action on Opening Day. MLB Network has those matchups — as well as the myriad storylines, highlights, and analysis that accompany them — surrounded with 17 consecutive hours of Opening Day coverage. MLB Network’s Opening Day slate began this morning at 9:00 a.m. ET with Intentional Talk and continues with MLB Central at 10:00 a.m., High Heat With Christopher Russo at noon, MLB Tonight (just nominated for four Sports Emmy Awards) at 1:00 p.m., and Quick Pitch at 1:00 a.m.
Viewers will notice a talent shakeup across MLB Networks’ studio programming. Robert Flores, who joined MLB Network in 2016 as a host and reporter, takes over co-hosting duties on MLB Central for Matt Vasgersian, who snagged ESPN’s Sunday Night Baseball play-by-play gig. Vasgersian will also serve as studio host for MLB Tonight, his original role at MLB Network. Flores will co-host MLB Central alongside Mark DeRosa and Lauren Shehadi. Veteran baseball journalist and current senior writer for The Athletic, Jayson Stark joins MLB Network as a regular contributor, appearing across the network’s studio programming. Alexa Datt and Stephen Nelson round out the new studio talent additions. MLB Network has also refreshed its opens, graphic looks, and animation for MLB Central, High Heat, and The Rundown. MLB Network gets its MLB Showcase schedule under way tomorrow night in Toronto, when the Blue Jays host the new-look New York Yankees. MLB Showcase games will be called by Bob Costas, Jim Kaat, and Tom Verducci. For the third year, MLB Network is partnering with DirecTV and Game Creek Video to broadcast Showcase games in 4K and HD and will continue to roll out Game Creek Riverhawk and Edit 3 on each game. As if preparations for MLB Opening Day weren’t enough to keep the crew in Secaucus, NJ, busy, the NHL Stanley Cup Playoffs are a mere two weeks away. 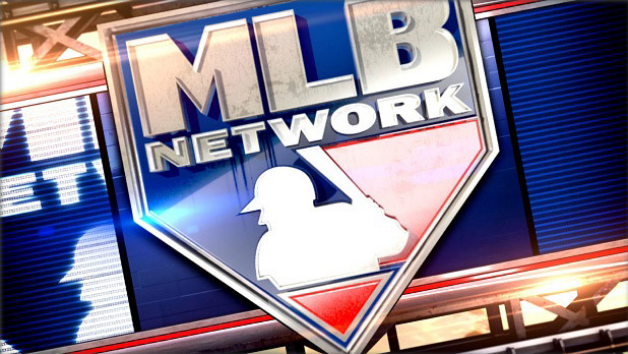 MLB Network will work aside NHL Network in their joint location as the latter ramps up its playoff coverage.